The sun has been out on full display and Apache are getting excited by the new season arrivals for Spring 2014. 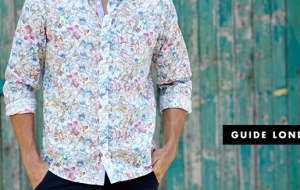 It’s time to flaunt those forearms with our collection of, ‘get it while it’s hot’ (literally), short sleeved shirts. Introducing the versatile Bold Gingham Shirt by Fred Perry. A vintage and edgy Mod influence seeps through the gingham check pattern whilst the button down collar creates an all-round dapper feel. Classic Fred Perry construction details include a box pleat, a single chest pocket and a split curved hem, all crafted from fine woven fabric. The shirt also comes embroidered with Fred Perry’s signature Laurel Wreath and fastens with pearly white branded buttons to give it a natural finish. Keep it sharp by matching it up with a fine piece of Fred Perry knitwear for those cooler Spring days, and be sure to check out the Colour Gingham Shirt too. 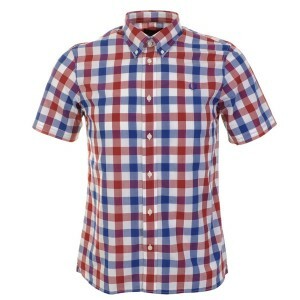 Apache’s collection features yet more British mod heritage with this semi-slim fit short sleeve shirt from Merc clothing. This regal style retro mens shirt is beautifully tailored with a Mod-style button down collar and a striking 1960’s floral print. 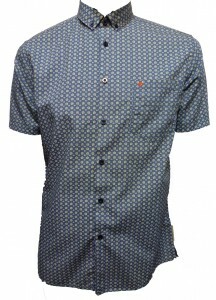 The Farber Retro Print Shirt by Merc features a delicate and contrasting hint of red that sits subtly within the geometric style English rose pattern. Complete the Merc London Mod style with the indie-classic Harrington Merc jacket. 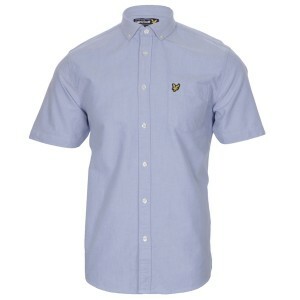 You can’t go wrong with this Short Sleeve Plain Oxford Shirt by Lyle & Scott. It’s smart, it’s simple and it comes in a choice of three colours; Riviera, White or Soft Orange. These fresh lighter shades would make a great addition to your springtime wardrobe, so move away from those dull shades of grey and indulge in some burst of colour for Spring Summer 2014. The formal original shape of this shirt combines smart with classic and retro; An imperative compliment for any smart wardrobe and one that can be perfectly paired with a Basic Chino Trouser by Lyle Scott clothing. For all the latest Spring 2014 range, go to Apache Online, UK.